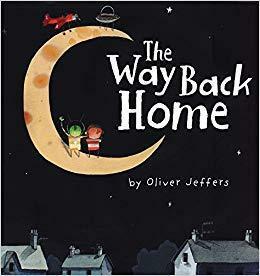 This term we will be looking at modern story books. 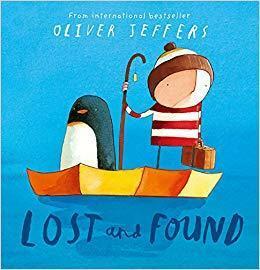 We have lots of different books to introduce to the children, and some of which they may already know. 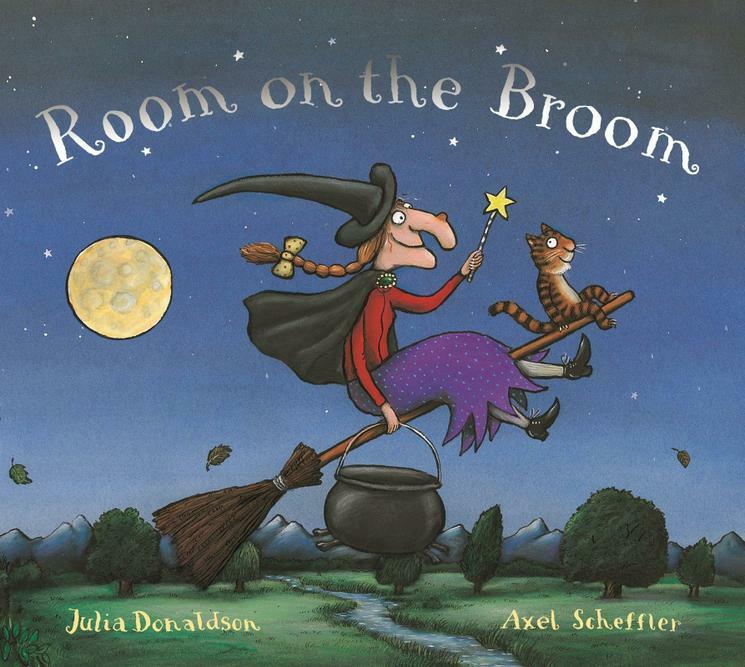 Some of our books this term are written by Julia Donaldson. 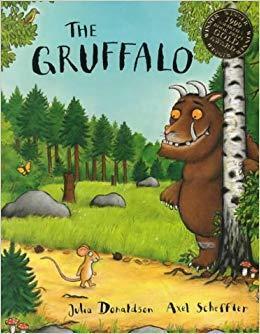 We will be taking a stroll through the deep dark woods and reading 'The Gruffalo'. 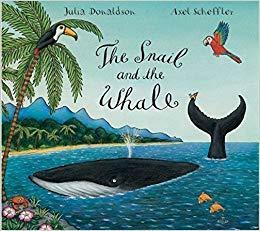 A few other Julia Donaldson books we will be looking at are 'The Snail and the Whale' and 'Room on the Broom'. 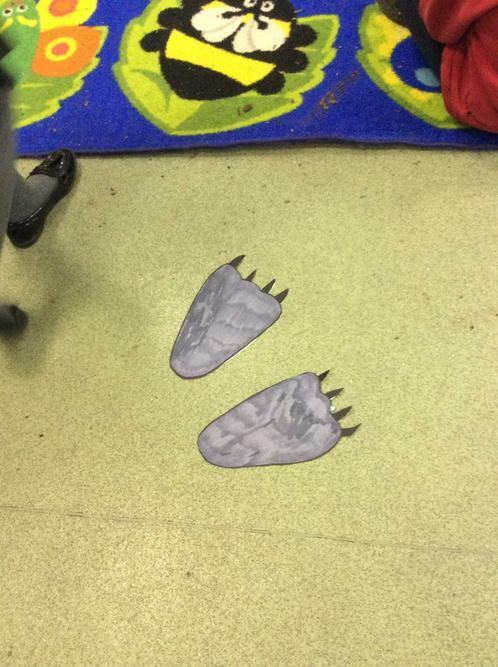 We found footprints in our classroom! 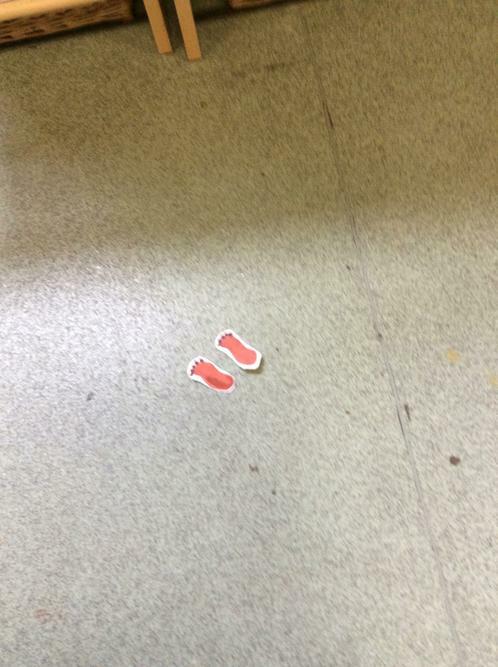 We had to investigate who may have left the footprints, to reveal the new story. 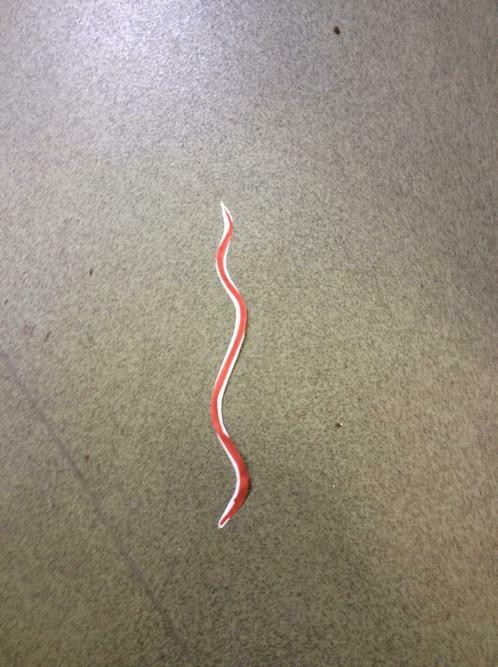 We had been given a challenge when we arrived at Forest School. 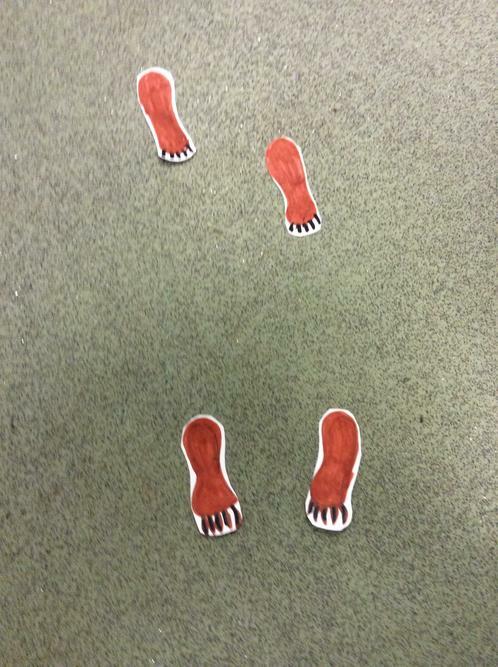 We were split into groups and had to build a house for an animal (from The Gruffalo story). We used natural resources from the Forest School grounds, to build the houses. We worked together as a team, and we were very proud of our achievements. Thank you for a lovely story Mrs Riggall!